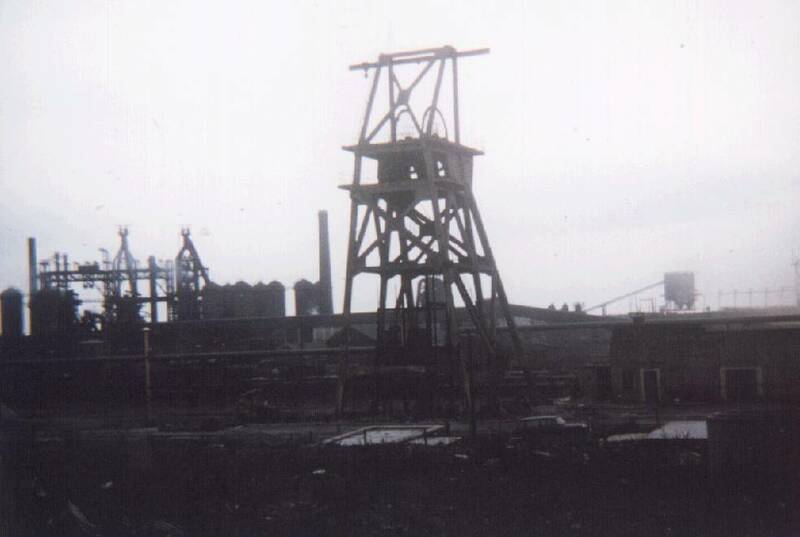 Solway Colliery in 1950. 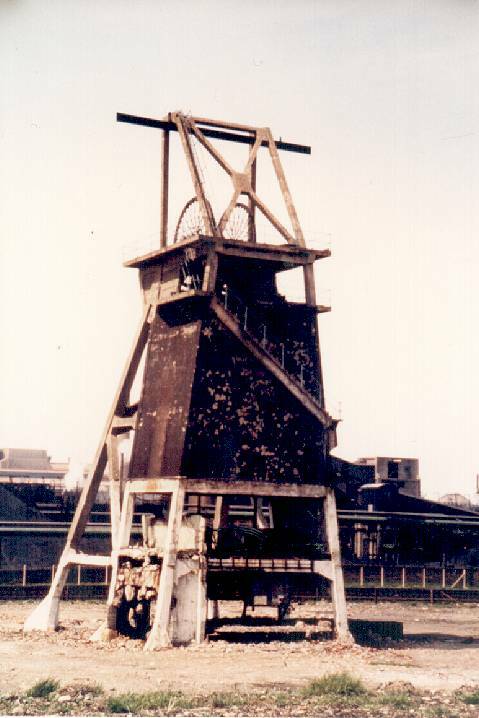 The tin sheds (pictured between the sets of headgear) were there to provide a "black-out" over the coke-ovens during WWII. a) The slag-engine puffing its way up the slag-bank, and b) That this image abuts onto the similar picture of the Derwent Blast Furnaces - which was taken at the same time - to form a panoramic view of industrial Workington. The last set of headgear awaits demolition at Workington's last deep coal-mine. Sunk in 1937 by the United Steel Company, It was taken over (nationalised) by the NCB in 1947 and eventually closed in 1973. Beset by damp, underground geological fault conditions and poor-quality coal, It was not the most profitable pit in the county. The workshops and anciliary buildings still stand, and are given over to private enterprise. Note the similarity of the architecture to the coke-ovens over the other side of the railway line. - Hardly surprising, as they were all built to be an integrated unit, with a conveyor from pit to coke-oven.